The future looks bleak for stocks and not just the US market, I’m talking about global markets are poised to enter bear markets which we have seen already started to see. Subscribers and I have been short the Japan and China market for several months and these two markets have dropped dramatically already and the bear market has not even started yet! Just take a look at the chart below which shows the declining GDP in January. Real GDP is down the trend it’s not going to stop for a long time yet. The economic outlook appears dismal in the upcoming financial quarters and is likely part of the reason stocks have crashed in January. 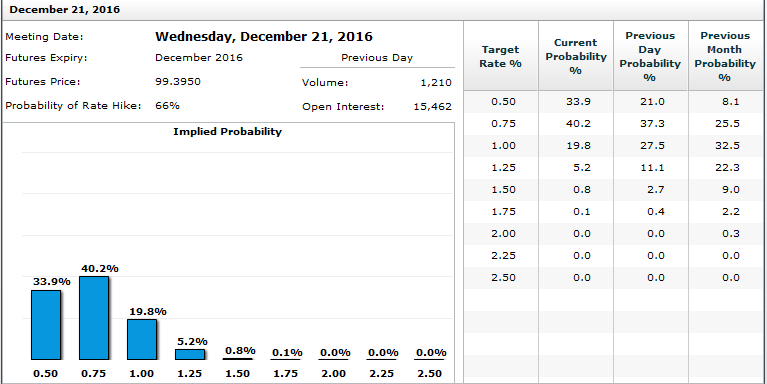 After the highly anticipated rate hike in December market participants have toned down their expectation of another FED rate hike in the near future. I believe that instead of another rate increase, the FED will start thinking about back-peddling to correct their mistake of raising rates that definitely has created a reason to sell stocks. They did this during a time when the economy was and still is very “fragile”. If you look back in history you will see clearly that the FED has the tendency to raise rates just before major corrections in the stock market. Or better said, they start to raise rates when the economy is still too fragile and they trigger the selloff in stocks. John Williams, San Francisco FED President, said, “We got it wrong” referencing the earlier statement by FED officials regarding crude oil prices being good for the economy. 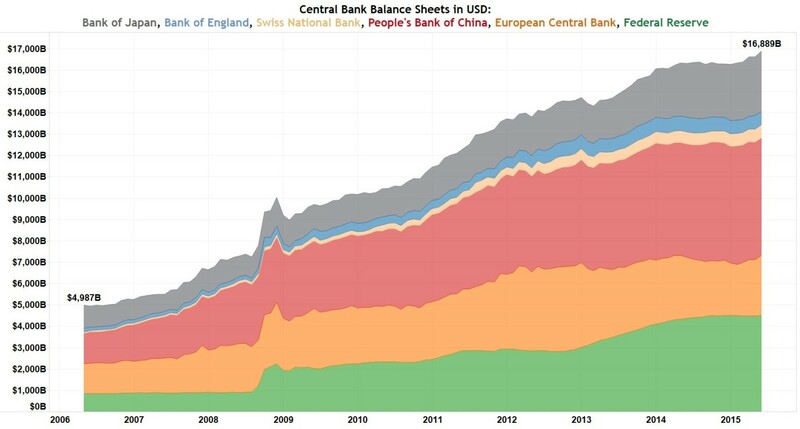 This graph clearly shows how the US FED, the ECB, the Bank of Japan, People’s Bank of China, the Bank of England and many other nations, have been implemented an easy monetary policy at the same time as the FED. Remember all markets are linked so when one has an issue so to the others. In 2008/09 it was not just the USA having financial issues, it was a global issue and many countries started easy money policies to help their economy stabilize. It just some counties have different ways of doing things and many don’t openly share what they are doing as they don’t want to show signs of weakness. 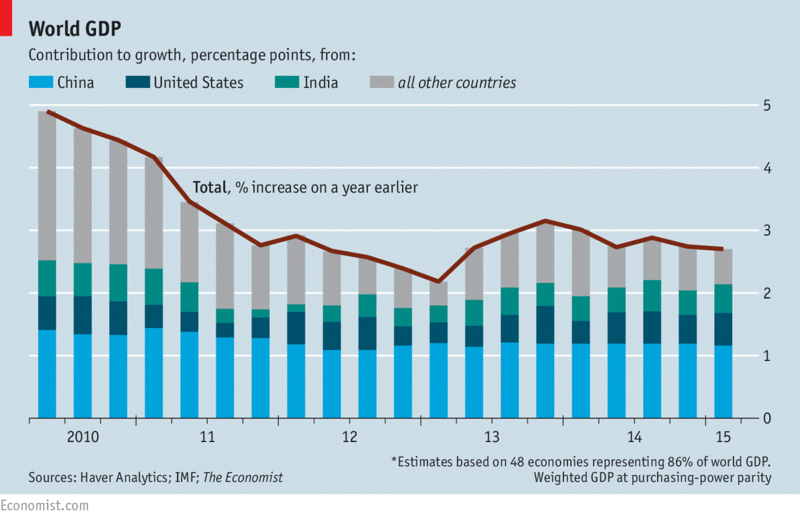 World GDP continues to decline even with global efforts of many countries trying to help boost the economy. The world is struggling and is going into “economic contraction” which could plague us for many years. China slow growth trajectory is likely to continue and the US forecasts are also pointing to slowing growth. The odds favor that the growth in 2016 will be much lower than what has been currently reported. Look at the graph below to see the global GDP line falling. In short, all this negative talk about the world economy is depressing and not what we all want to hear, see, and worse – live through. Let me mention that for every negative there can be a positive outcome. And this this case, when the stock markets crumbles and the economy falls into the gutter there is a way you can profit from the event. In fact, when the market crashed in 2008 many of us made a fortune from the falling stock prices and weak economy. In my next article I will share how I made a couple million dollars from my computer during a time when 95% of individuals lost half of their life savings and their homes. But you must optin to my free newsletter at www.GoldAndOilGuy.com to receive this special report! The post Latest GDP Forecasts Confirm Things Will Get Ugly appeared first on Stock & ETF Forecasts and Trading Signals.